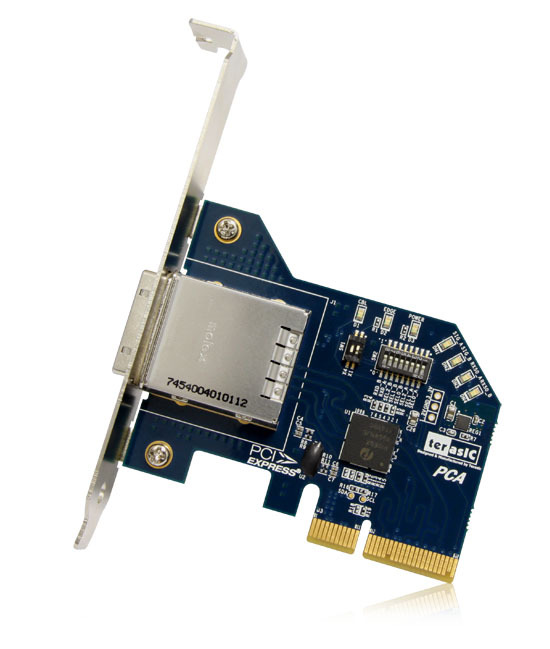 PCA(PCIe Cable Adapter)，which is used to connect PCIe upstream slot with downstream target board by a PCIe x4 cable , supports the PCIe x4 & x1 mode. PCA card can provide programmable equalization, amplification, and de-emphasis for PCIe transceiver signal by using 8 select bits. It is also available to optimize performance over a variety of physical mediums by reducing Inter-symbol interference.